Rochester has long had a vibrant, if less visible biking community. That community of passionate riders is more prominent than ever, evidenced in part by an abundance of activities during Rochester Bike Week. There are 10 different rides taking place through May 21, including: Rochester Bike Kids' laid-back Wednesday Night Cruise (this adult ride starts at Manhattan Square Park at 7:30 p.m.); the Trail Ride on Thursday night at 6 p.m., meeting at Bay Park West (at the parking lot near Irondequoit Bay Fish & Game Club); and Bikes & Brews at noon on Saturday, kicking off at 400 Bakers Park in Irondequoit. 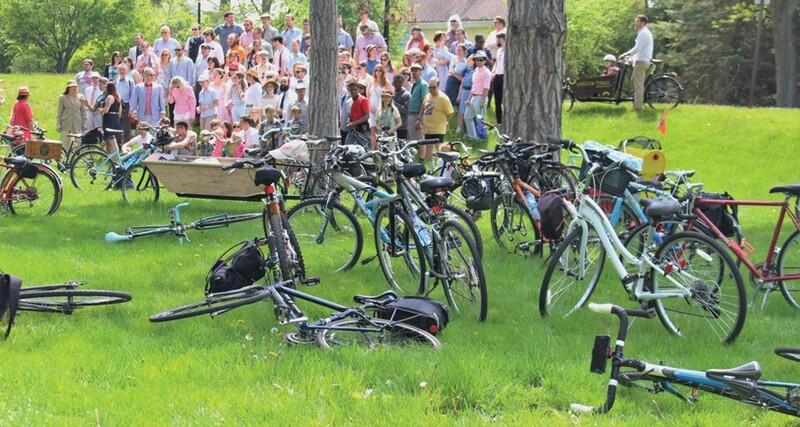 The week culminates on Sunday with the annual Seersucker Social Ride, a great chance to bike in style, sporting your spring fashion sense while enjoying a leisurely ride around the city. That event concludes with a picnic at Marie Daley Park. The Ride for Missing Children takes place on Friday, May 19, from 6:45 a.m. to 5:20 p.m., starting at Total Sports Experience (880 Elmgrove Road). Call 242-0900 for more information, and visit firstgiving.com/rideformissingchildren/rochester to register. Bikes & Brews on Saturday, May 20, is $25 for BBQ, $35 for bike ride and BBQ. The ride starts at noon at I-Square (400 Bakers Park, Irondequoit). Register and get more information at i-square.us/news or by calling Todd Rohnke at 750-6744, and help raise donations for the American Diabetes Association. Rochester Bike Week events take place at various times and area locations. Most events are free. Visit cityofrochester.gov/bikeweek for more information.